This is a condition in which the heart suddenly can't pump enough blood to the body's needs, often caused by a severe heart attack. This commonly happens when the heart's main pumping chamber, the left ventricle is damaged due to a lack of oxygen caused by a heart attack. 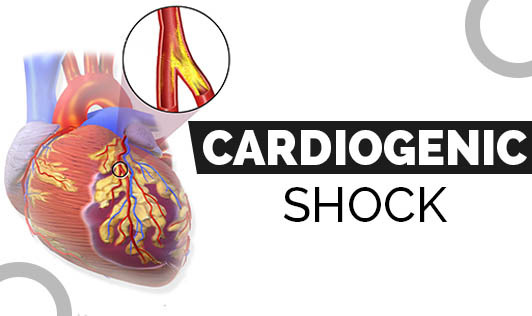 Other conditions such as myocarditis or endocarditis can also cause cardiogenic shock. Drug overdose can also affect one's heart's ability to pump blood and can lead to cardiogenic shock. Cardiogenic shock usually occurs in people who are having a severe heart attack, hence contact your doctor immediately if you experience any signs or symptoms of heart attack!